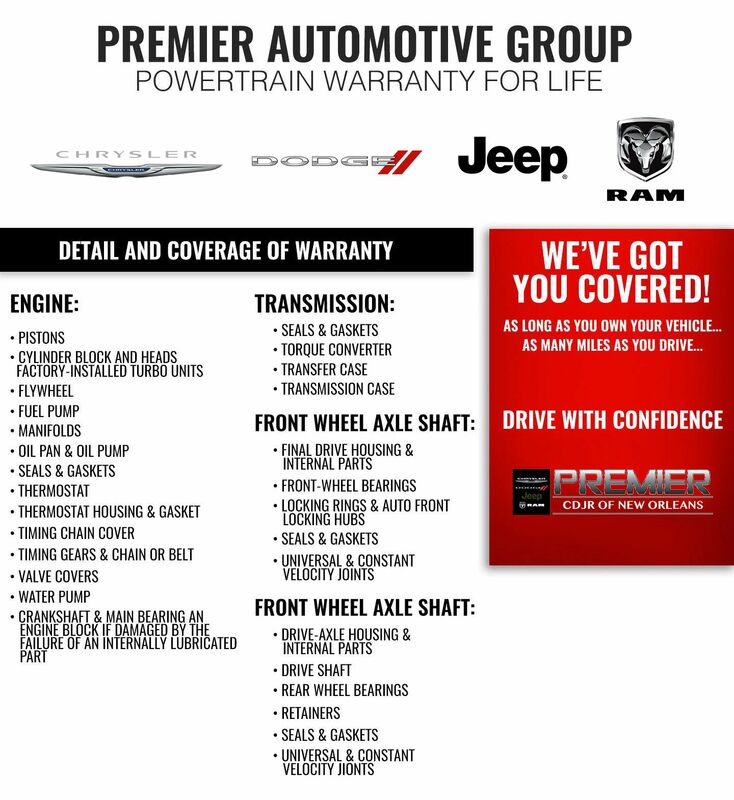 At Premier Chrysler Jeep Dodge Ram, we've got you covered under a lifetime warranty for as long as you own your vehicle and for as many miles as you drive! Get a great deal and warranty on your next new or used car purchase. Drive with Confidence at All Premier Dealerships. 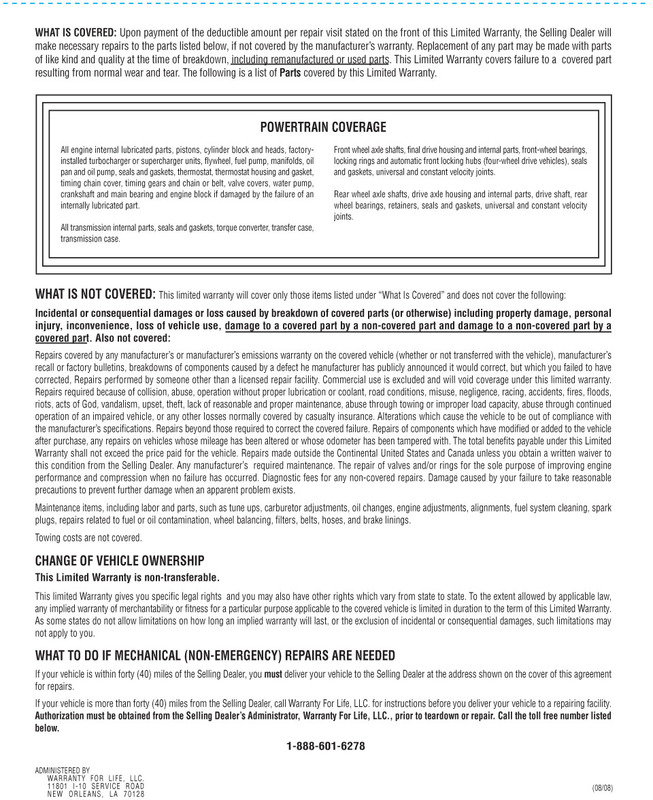 Engine - pistons, cylinder block and heads, factory installed turbocharger units, flywheel, fuel pump, manifolds, oil pan and oil pump, seals and gaskets, thermostat, thermostat housing and gasket, timing chain cover, timing gears and chain or belt, valve covers, water pump, crankshaft and main bearing and engine block if damaged by the failure of an internally lubricated part. Front Wheel Axle Shaft - final drive housing and internal parts, front wheel bearings, locking rings and automatic front locking hubs, seals and gaskets.